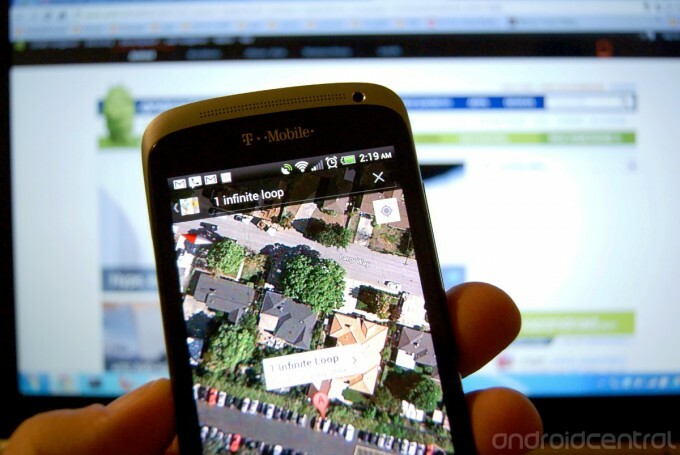 Will Google release Google Maps into the App Store, and will Apple approve it if they do? iOS 6 was another step towards removing Google from the core functionality of Apple's mobile operating system. While they once were friends, remain partners in certain areas like the YouTube app and search in Safari, they're now fierce competitors in smartphones and tablets and Apple reportedly doesn't want Google collecting data from iOS users. Apple's new Maps app swaps out the Google maps data for TomTom maps data, and Google maps tiles for Apple's own custom made tiles. It loses Street View but adds turn-by-turn navigation, something Google wouldn't give Apple previously. So that raises the question: Now that Google is gone from Apple's Maps app, will Google release their own, full-on, Android-style Google Maps app in the App Store? Will Google make Google Maps for the iOS App Store? iOS user data is far too valuable for Google to simply let go. The only reason Apple could successfully build features into iOS like Wi-Fi location mapping, traffic, etc. was because of iOS users providing that data through use of location-based services. Google is an advertising company. They make almost all their money through AdWords and associated technologies. But to deliver those ads to the right user, at the right time, at the right place, they need data. Better data means better ads for users and higher click-through rates for advertisers. Even though Google chose to make Apple their mobile competitor, they also choose to make a lot of apps for the App Store. That's because iOS users use a ton of apps. And Google wants that data. They need that data. So, yes, I'm guessing Google will make and submit a real Google Maps app to the App Store. And that brings us to the second half of the equation: If Google submits Google Maps to the App Store, will Apple approve it? There's a giant "duplicates functionality" red card that Apple's played in the past, using claims of user confusion or lack of unique functionality to keep competitive apps out of the store. While the review process still isn't perfect, and Apple's policies still aren't transparent, those days seem to mostly be behind us. But Apple's faced considerable scrutiny for that, especially when it concerned Google. The whole Google Voice incident shows that it's an incredibly high profile, government attracting, business distracting ordeal. Apple makes money selling high margin hardware. Software and services primarily drive those hardware sales. Having more and better services, as long as they don't impact hardware sales in the future (by enticing users to switch platforms) are ultimately in Apple's best interest. By having the services users want on iOS, Apple sells more iPhones and iPads. Even though Apple provides iCloud, they still have excellent support for Gmail. There's even an Gmail app in the App Store. Even though Apple provides Find my Friends, and reportedly refused to put Latitude into the old Maps app, they've let a Google Latitude app into the App Store. Even though Apple has iAd, after a brief period of concern, developers can still choose to use AdMob. So yes, I'm guessing that if Google submits Google Maps to the App Store, Apple will approve it. That's not to say there won't be leaks, blusters, rejections, accusations, app crashes, and a lot of other drama along the way -- but in a few months, I think iOS users will once again enjoy the best of both worlds. This time, mapped.